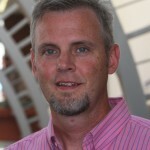 Dr. Campbell is a faculty member in the Neag School of Education. His research focuses on cultivating imaginative and equitable representations of STEM activity. This is accomplished in formal science learning environments through partnering with pre-service and in-service science teachers and leaders to collaboratively focus on supporting student use of modeling as an anchoring epistemic practice to reason about events that happen in the natural world. This work extends into informal learning environments through a focus on iterative design of informal learning spaces and equity focused STEM identity research. Principal Investigator ($183,000). A Multi-Level Networked Improvement Community for Supporting STEM Teaching and Learning. (2018-2020). UConn Foundation/McLeod Foundation funded project. Role: Principal Investigator. (Awarded February 1, 2018). Co-Principal Investigator ($145,000). Water and Sustainability: Educative curriculum using online mapping tools to support teacher and student learning. (2016-2019). Agriculture and Food Research Initiative (AFRI) Program with oversight from the U.S. Department of Agriculture. Collaborative proposal submitted with PI Chester Arnold, Director for Outreach, Center for Land Use Education & Research (CLEAR), Co-Pi’s Drs. John Volin, Department Chair and Professor of Natural Resources, David Moss, Associate Professor of Science Education, and Mike Willig, Professor of Ecology and Evolutionary Biology and Direct of Center Center for Environmental Sciences & Engineering, all at the University of Connecticut. Role: Co-Principal Investigator. (Notification of Award August 23, 2016). Co-Principal Investigator ($3,000,000). Promoting lifelong STEM learning through a focus on geospatial technology and community engagement. (2016-2021). Advancing Informal STEM Learning (AISL) Program with oversight from the National Science Foundation (Number 1612650). Collaborative proposal submitted with PI Dr. John Volin, Department Chair and Professor of Natural Resources, and Co-PIs Drs. David Moss, Associate Professor of Science Education, and Chester Arnold, Director for Outreach, Center for Land Use Education & Research (CLEAR), all at the University of Connecticut. Role: Co-Principal Investigator. (Awarded August 20, 2016). Journal of Science Teacher Education (2019-2024). Co-Editor-in-Chief alongside Drs. Wayne Melville, Lakehead University, Lakehead, Ontario, Canada and Geeta Verma, University of Colorado Denver, Denver, Colorado. Melville, W., Kerr, D., Verma, G. & Campbell, T. (2018, August). Science education and student autonomy. Canadian Journal of Science, Mathematics and Technology Education, 18 (2), 87-97. Neilson, D. & Campbell, T. (2017, December). Modeling-based learning to explain friction phenomena. The Physics Teacher. 55(9), 570-574. Lee, H., Longhurst, M. L., & Campbell, T. (2017, May). Teacher Learning in Technology Professional Development and its Impact on Student Achievement in Science. International Journal of Science Education, 39(10), 1282-1303. *Campbell, T., Melville, W. & Goodwin, D. (2017, May). Science Teacher Orientations and PCK across Science Topics in Grade 9 Earth Science. International Journal of Science Education, 39(10), 1263-1281. Campbell, T. & McKenna, T. J. (2016, October). Important Developments in STEM Education in the United States: Next Generation Science Standards and Classroom Representations of Localized Scientific Activity. K-12 STEM Education, 2(4), 91-97. Longhurst, M. L., Coster, D. C., Wolf, P. G., Duffy, A. M., Lee, H., & Campbell, T. (2016, December). Multi-year professional development grounded in educative curriculum focused on integrating technology with reformed science teaching principles. School Science and Mathematics, 116(8), 430-441. Campbell, T. & Neilson, D. (2016, June/July). Explaining ramps with models: Design strategies and a unit for engaging students in developing and using models. The Science Teacher. 83(5), 33-39. Campbell, T., Schwarz, C., & Windschitl, M. (2016, March). What we call misconceptions may be necessary stepping-stones on a path towards making sense of the world. NSTA Journals: The Science Teacher, 83(3), 69-74; Science Scope 39(7), 19-24; Science & Children, 53(7), 28-33. (published concurrently in all three journals [elementary, middle, and high school] as part of NSTA’s NGSS series). Campbell, T. & Oh, P. S. (2015, April). Engaging students in modeling as an epistemic practice of science: An introduction to the special issue of the Journal of Science Education and Technology. Journal of Science Education and Technology, DOI: 10.1007/s10956-014-9544-2. Campbell, T., Oh, P. S., Maughan, M, Kiriazis, N., & ZuWallack, R. (2015, January). A review of modeling pedagogies: Pedagogical functions, discursive acts, and technology in modeling instruction. Eurasia Journal of Mathematics, Science & Technology Education, 2015, 11(1), 159-176. Campbell, T., Neilson, D., and Oh, P.S. (2013, September). Developing and using models in physics: Grounding instruction around scientifically rich, often complex natural phenomena. The Science Teacher. 80(6), 35-41. Campbell, T. & Neilson, D. (2012, September). Modeling Electricity: Model-Based Inquiry with Demonstrations and Investigations. The Physics Teacher. 50, 347-350. Campbell, T., Zhang, D., & Neilson, D. (2011, June). Model based inquiry in the high school physics classroom: An exploratory study of implementation and outcomes. Journal of Science Education and Technology, 20(3), 258-269. First published online 23 August 2010. DOI 10.1007/s10956-010-9251-6. Campbell T., Wang, S., Hsu, H., Duffy, A., & Wolf, P. (2010, October). Learning with web tools, simulations, and other technologies in science classrooms. Journal of Science Education and Technology. 19(5), 505-511. First published online 13 April 2010. DOI 10.1007/s10956-010-9217-8. Million Dollar Researcher Award (2012). Awarded by Utah State University’s Office of Research and Graduate Studies. Researcher/Scholar of the Year Award recipient (2012). Awarded by Utah State University’s School of Teacher Education and Leadership. Outstanding Service as the Association of Science Teacher Education (ASTE) Newsletter Editor (2012). Awarded by Association of Science Teacher Education (ASTE). Researcher/Scholar of the Year Award recipient (2007). Awarded by Utah State University’s Regional Campus and Distance Education Association (RCDEA).